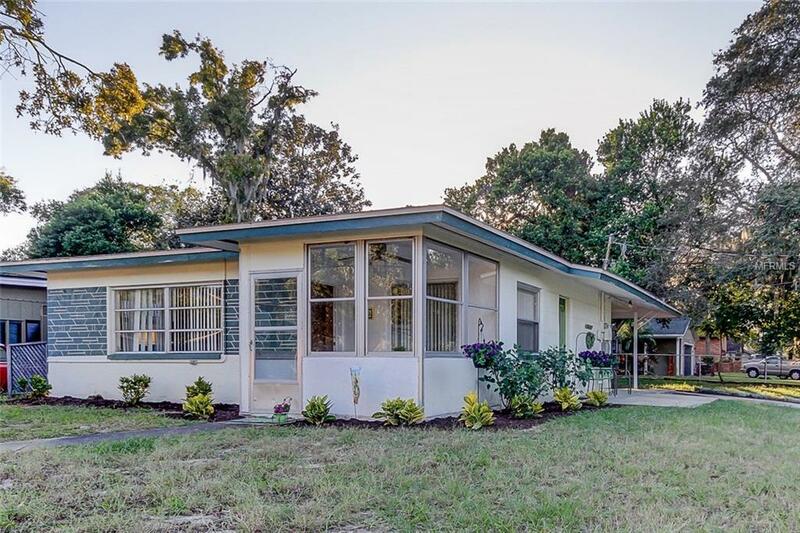 Look at the inside of this Light & Bright Tarpon Springs Bungalow, ready for you to move in & enjoy the Florida lifestyle. This adorable home has 2 nice sized bedrooms, updated bathroom & a great flow of space for living. New Water Heater 2018, Refrigerator 2015, AC 2010, Roof 2006. Large Shed to store your lawn & garden tools or your bicycles. New Interior doors throughout, Freshly painted interior, Walk in pantry with shelving, Utility room with Washer and Dryer included! Large Corner lot with shade & some new landscaping. You'll love the front patio, lovely space for orchids & sipping ice tea. Come add your personal touch! Perfect home for anyone! Bring the Bird, Cat, or Dog, no pet restrictions here, no HOA, no Flood Insurance! Walk or ride your bike to the SPONGE DOCKS only 1 mile away or hop on the Pinellas trail, it's less than a mile! Close to popular shopping & restaurants. This is a wonderful home with a lot of charm! Come and see how you can make it your own!